I was so excited when Raymund from Ang Sarap invited me to do a guest post on his blog – it’s such an honour! I brainstormed high and low for recipes and in the end decided on a dessert as it’s how Foodie Baker (previously known as Food Is My Life) started, a site to chronicle my baking journey (but now it’s a mixture of savoury, sweet and travel). Thank you Raymund, for having me over! Freshly baked – did you see the first hint of ooze? 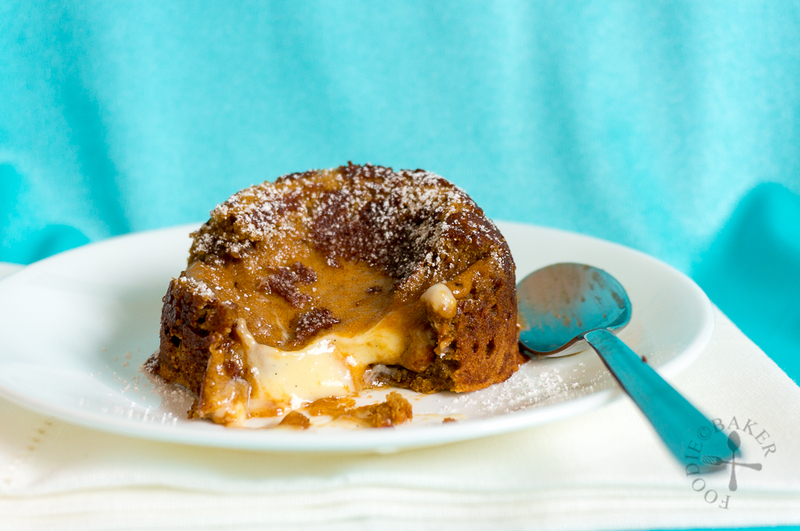 And the molten vanilla custard lava! To know how I get this two-toned lava cake, head over to Raymund’s blog, Ang Sarap now! Omg this looks amazing! My husband loves chocolate lava cake so I definitely need to make him this coffee vanilla version! Oooh do let me know if you make them in the future! Dinner has been over here for a while and I’m not a night snacker, but this really got my dessert cravings going! Looks AMAZING. Thank you Susan! Glad you like it! Thanks Mabel! 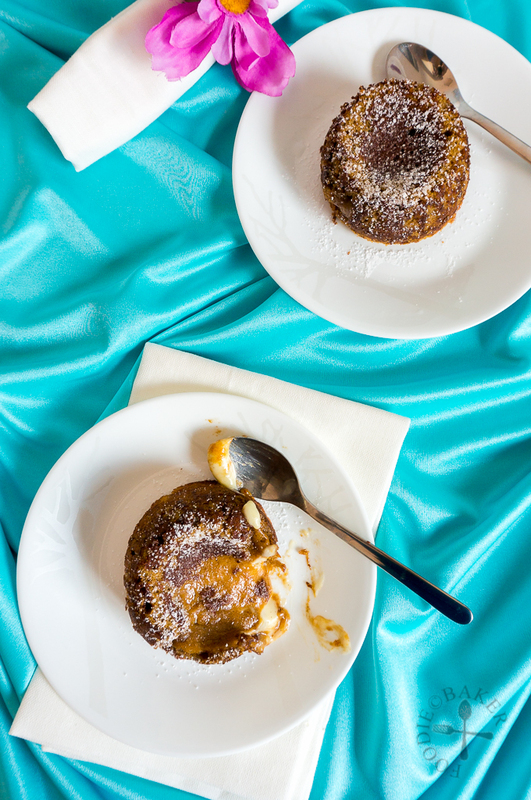 Yes molten cake is best served hot or warm, and especially with a scoop of ice cream – when both hot and cold hit your tongue at the same time… bliss! what a cool cake! i think i’ve only ever seen chocolate lava cakes, i had no idea you could do other flavors! mmm it looks so good. Thanks Anna! 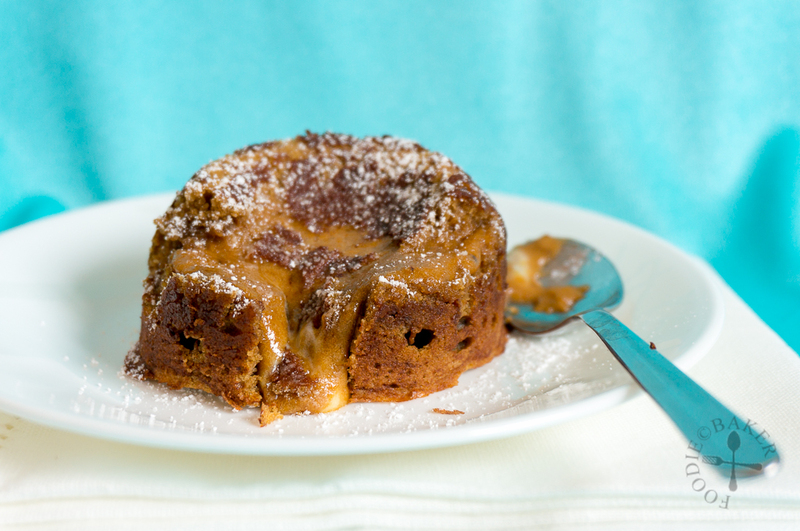 Yes though chocolate flavour will never fail, but coffee-vanilla is something new and a whole new reason to be excited about lava cakes again! Wow, I’ve only made the chocolate version, but these open up a whole new world!! What a terrific recipe—off to check it out. Thanks Liz! Hope you’ll like it! What a lovely dessert to serve at a dinner party. Jasline, this look really beautiful and delicious!!! Thank you Gloria! Do check it out at Raymund’s blog! Have to check that out. 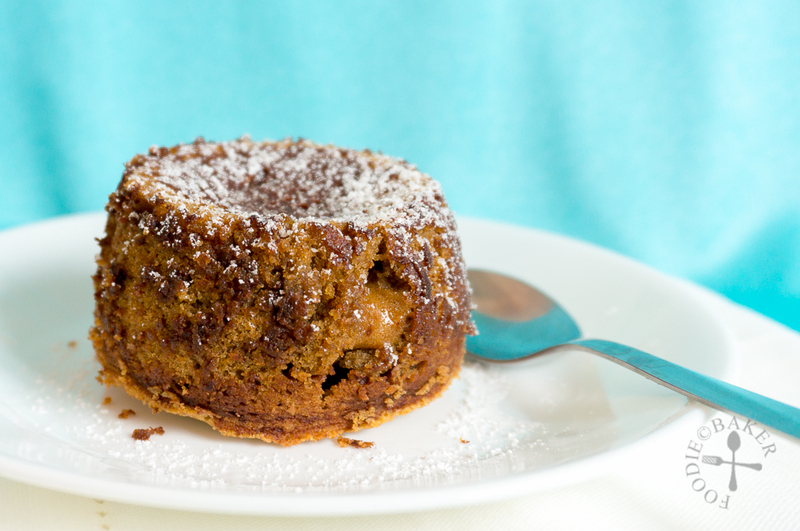 I love molten chocolate cake and this is a beautiful version! My oh my does that look delicious! Looks like the perfect recipe to make while I wait out the stormy weather that has me holed up in my house. Thank you M! Hope the weather clears up soon, stay dry and warm! I am on my way over to Ang Sarap to check out your recipe. Looks so good!!! !